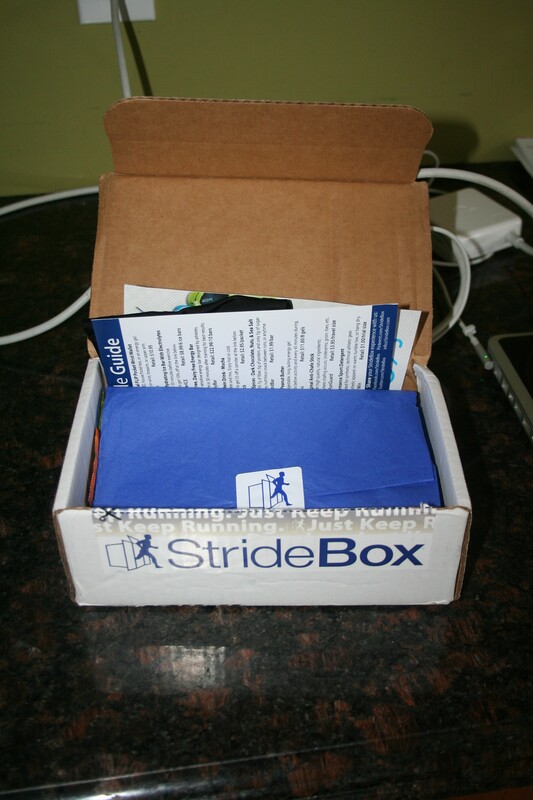 So I got on my happy little 10km running plan sorted out, got my training plan approved by my coach and what should arrive today but my first Stride Box! Seriously excited! I can’t believe that it’s here. I feel so spoiled today! First I got 6 compliments at work about my outfit and now I get some goodies in the mail! Yippy! 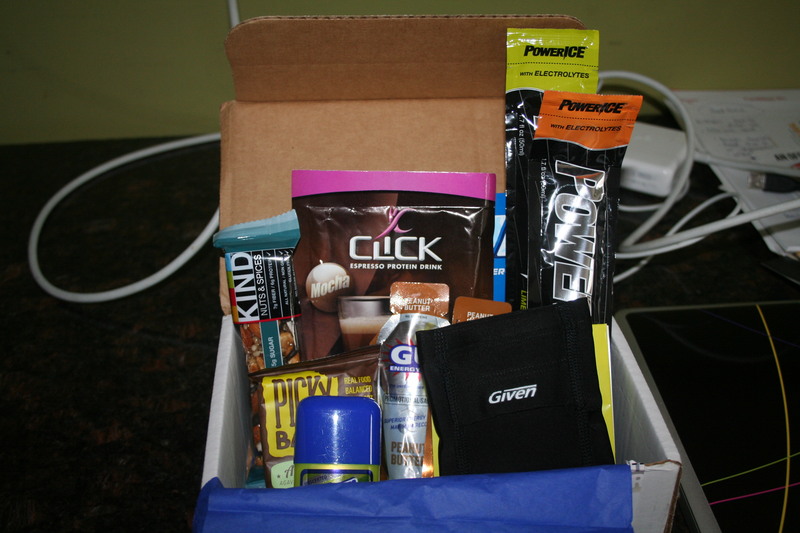 So in this box I found 2 peanut butter flavoured Gu, 2 Power Ice hydrating Ice Bar Electrolytes, a Picky Bar, a Click Espresso Protein Drink, a mini Run Guard stick, a sample of Win sport detergent (always wanted to try that), a Kind chocolate nut bar, and a Given Brand flip wrist wallet. I am so crazy excited by all of this! I get to start my training soon and I have some fuel to try out when I start on April 1st. Go me and my awesome running stuff, and thank you Stridebox for giving me a little something to look forward to every month! Pretty stuff! My husband is so jealous! All laid out! 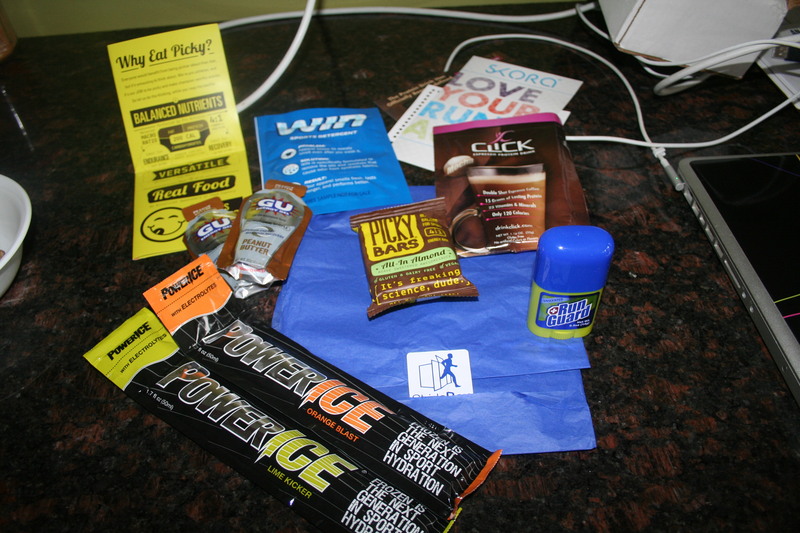 Most excited about the laundry detergent, freezie electrolytes, and low sugar bars.